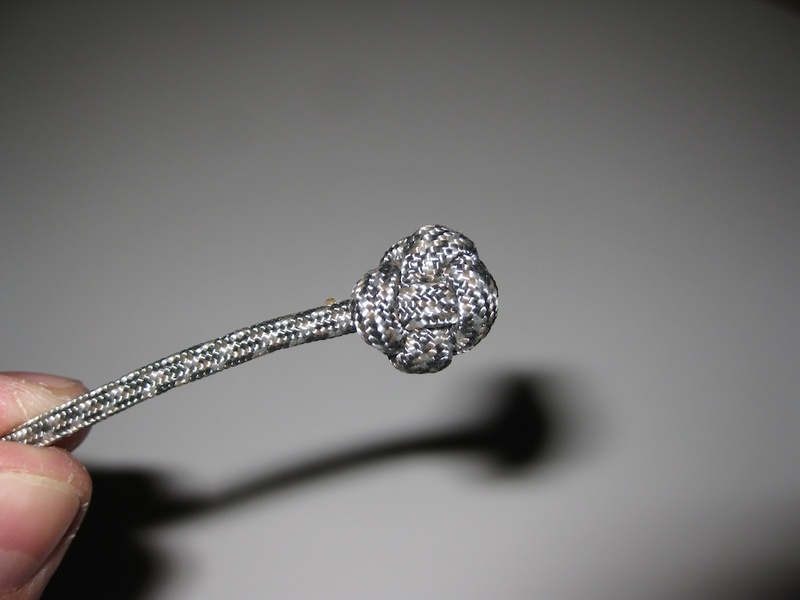 Paracord jesses are fairly easy to make. The materials are easy to find and it does not take long to make them. 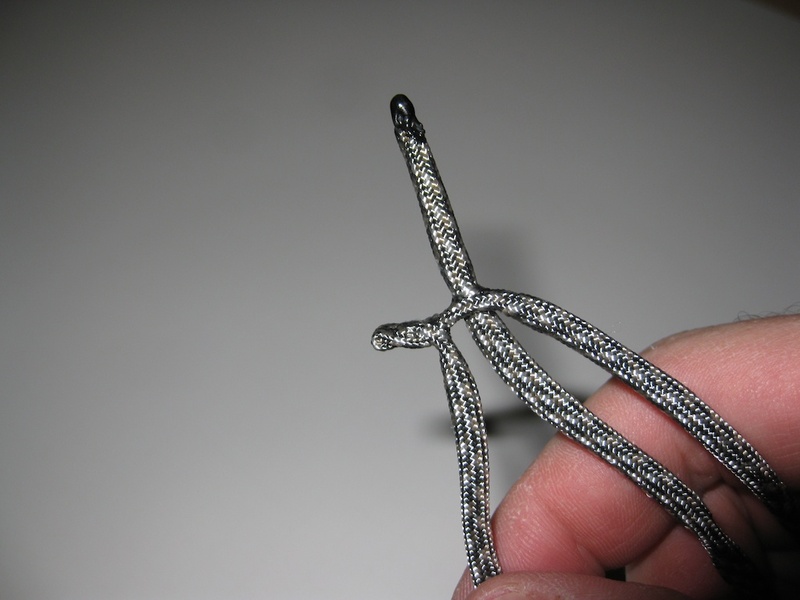 I have outlined the steps that it takes to make Paracord for your raptor. 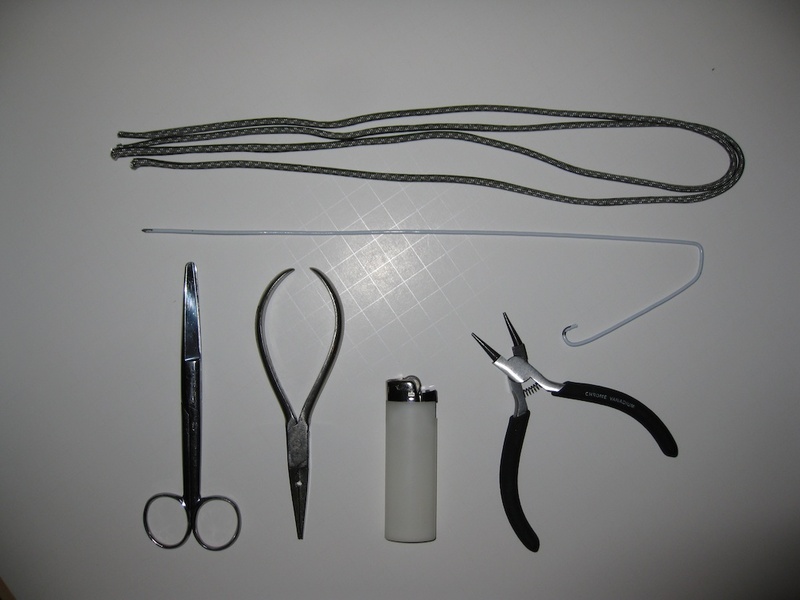 The first thing you will need is a set of tools for the project. 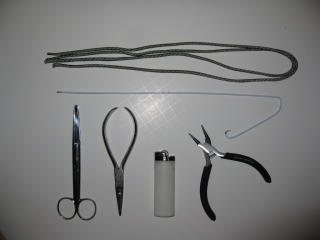 I’ve listed below the tools that I used to make a set of jesses out of Paracord. 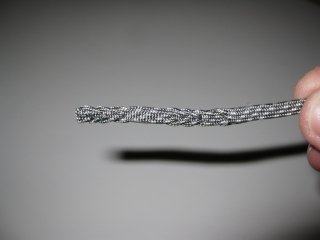 You will need to prepare the paracord strands by cutting to desired length (in this demo, 24 inches) and then remove the center strands of nylon fiber from the core. 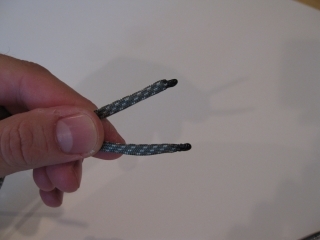 Step One: The first and most important part of making a nice looking set of jesses is to melt the tips and create a soft point on the end of your cord. 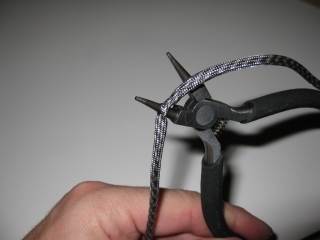 I’m using a pair of pliers that has a special groove in it that makes the end round. Melt the end with a lighter, then form it into a point and let it cool; then melt it again. 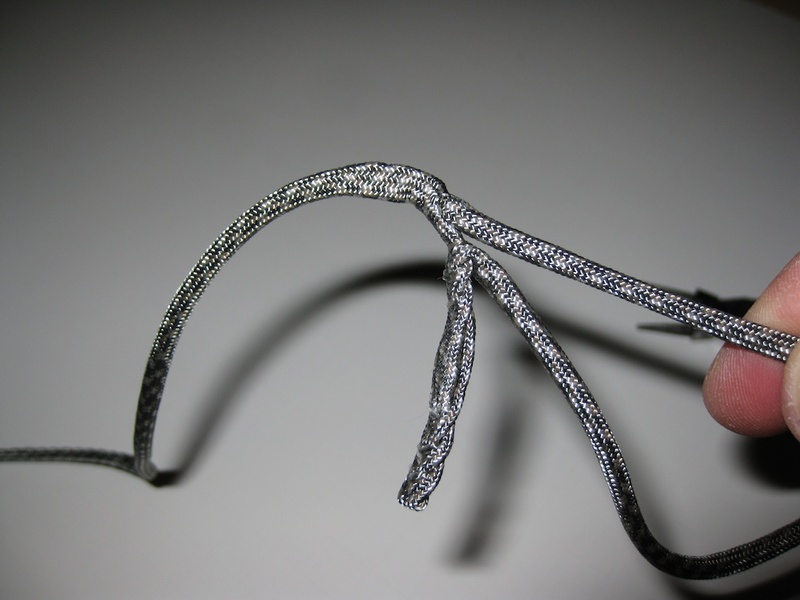 The last melting makes sure that the end doesn’t have any sharp barbs that will catch the fine fibers of the braided para cord strands. Once you have melted the ends of the pair cord you are ready for the next step. Step Two: Find the midpoint of the cord and use a pair of pointed pliers to force one prong through the center of the cord. 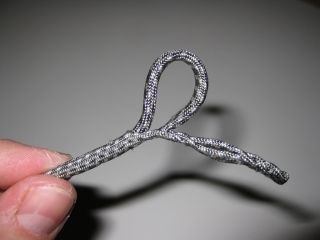 Step Three: Thread the hanger into the center of the pair cord at the end as shown in this picture. 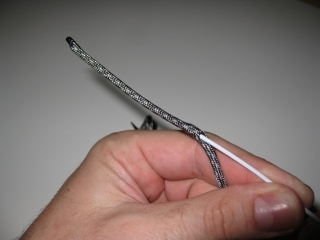 Gently press the tip of the hanger into the cord and slowly work it into the center of the cord. 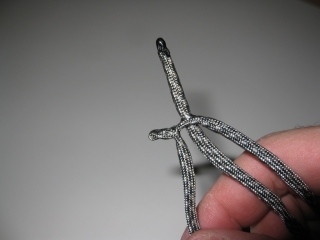 A cleanly sanded tip of the hanger will prevent any snags on the fine nylon fibers. 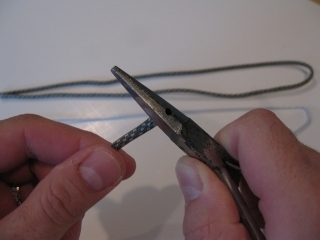 Step Four: Force the end of the cord on the hanger through the hole that was made by the pliers. Once you have the melted tip through the hole you can pull out the hanger of the cord and then pull the remaining length of the cord through the whole and snug it tight. 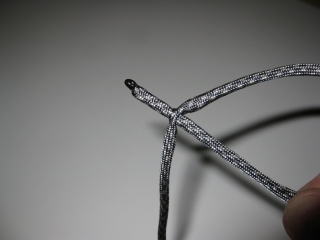 Step Five: You’ll need to alternate the cord through each of the strands three more times in order to secure the paracord end from slipping or moving. 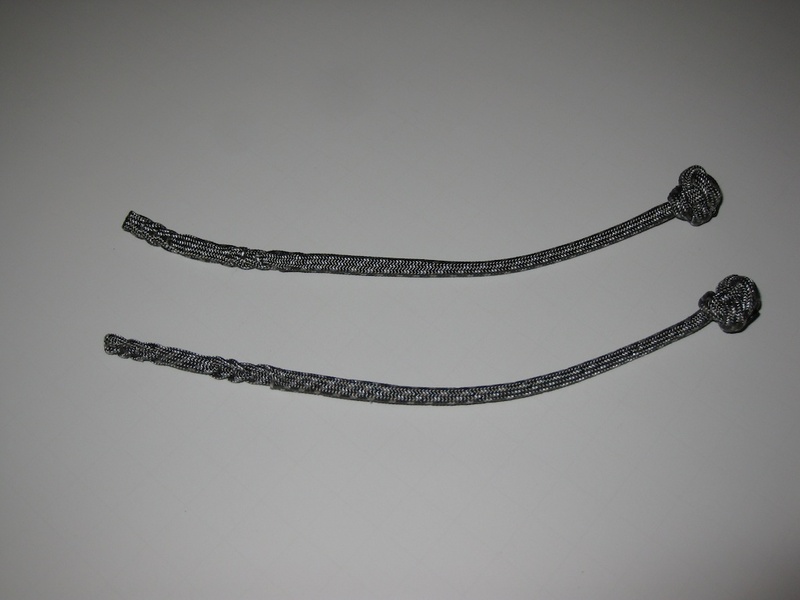 If you want a securing hole for a clip on a leash you’ll need to leave about an inch of space between the next back-weave on your cord. 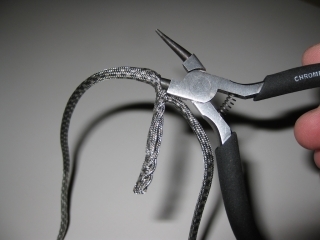 Step Six: Use the pliers once more and force a hole through one side of the para cord in the center. You will then put the hanger through the end of the para cord once more and force it down the center of the remaining length of cord. 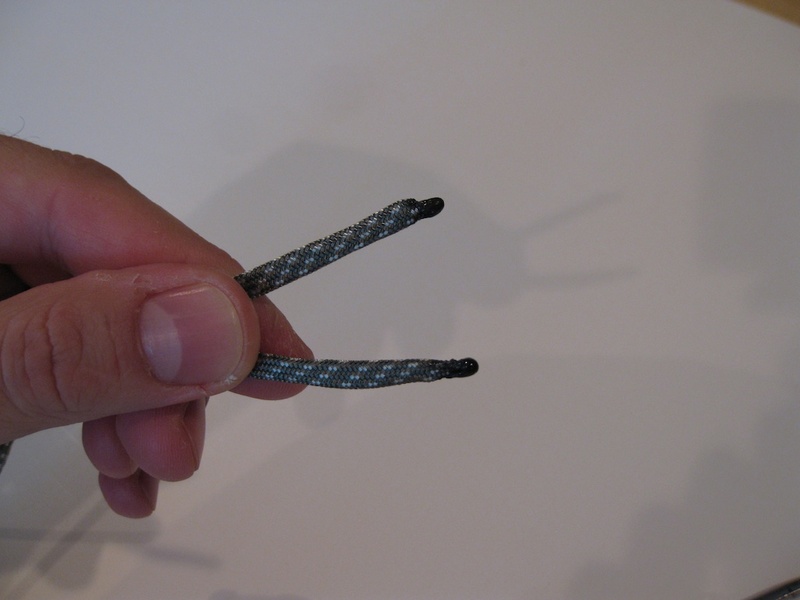 Here is the cord on the hanger being forced down the center of the opposite strand of cord. Step Seven:Force the cord all the way down the center of the remaining strand and pull it through the end. You may need to cut off the other end of the para cord which was melted in order to allow the length of the cord completely through. The end of your para cord jess should look this after it is completely through the center of the opposite strand. The clean back-braided end looks like this when complete and the cord is forced through the center. Step Eight: it’s a good idea to have a solid knot at the end of your Jess. Here is a button knot before it is cinched tight and closed. 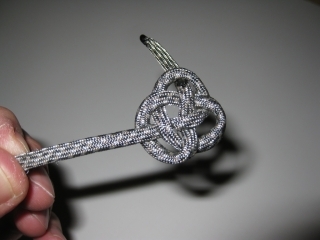 Step Nine: Pull your knot tight. 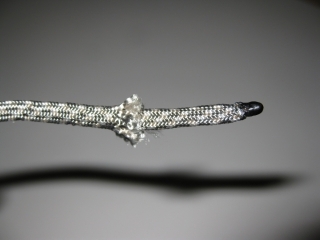 Cut the remaining cord close to the knot and melt the end to secure it. A Completed matching pair of Paracord Jesses.